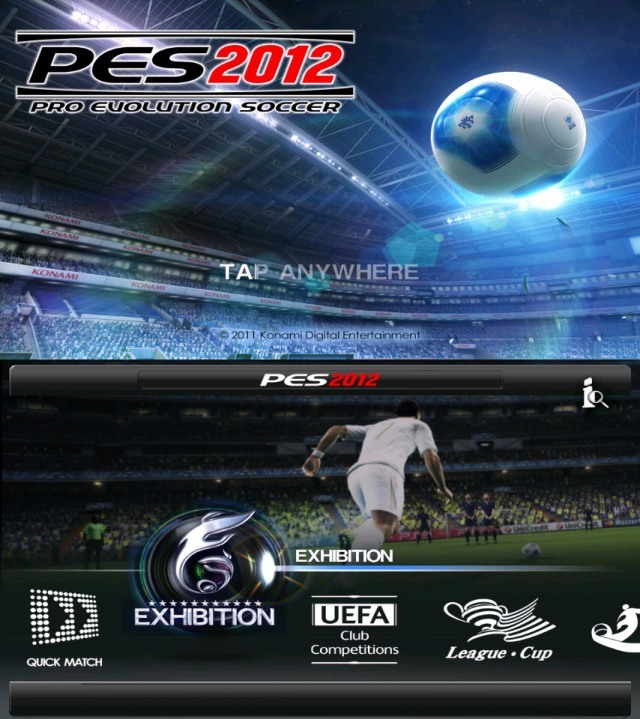 Overview: PES 2012 ΓΓé¼ΓÇ£ the unrivalled football experience on the Android platform! With added crowd jeers and cheers, all new stadium, official UEFA Champions leagueΓΓÇ₧ó and Europa LeagueΓΓÇ₧ó, Liga BBVA, Ligue 1 and much, much more! Two special modes dedicated for these moments when you just have a few minutes to kill, in Quick Play youΓΓé¼Γäóll be kicking in less than a minute, and in the brand new Free Kick Challenge youΓΓé¼Γäóll be able to surpass your shooting skills with effects and touchscreen accuracy!